There are certainly many reasons why small local businesses can no longer afford to ignore email marketing. First of all, email marketing is effective. Secondly, it is also very cost-effective! When it comes to online marketing, local businesses have many options to choose from. It is true that there are newer marketing tools like social media marketing; email marketing still remains the single most-effective online marketing tool for small businesses. It is good to diversify and combine a few or more online marketing tactics. However, some businesses have focused so much on these newer online marketing tactics and completely ignored email marketing. As reported in the 2012 State of Small Business Report, only 54% of small local businesses use email marketing as a marketing tool. This number is significantly low considering the cost-effectiveness and the effectiveness of this marketing tactic. Email marketing has a lot of potential and if you are not already using it as a marketing tool, it is time to consider it. Below are some of the reasons why small businesses would do well to invest more of their marketing budgets on email marketing. Email marketing gives small business owners access to customers’ personal spaces. Once someone visits your website and subscribes to your email list, you have more windows to personalize your emails to reflect their interests. You can easily customize every single email you send so that it is appealing and interesting to a specific customer or prospective buyer. This increases the chances you will; have at converting them. While Facebook, Instagram, and twitter and other social marketing platforms are becoming increasingly popular as online marketing strategies, they give you no control. Data shared on such platforms are increasingly updated hence they change rapidly. In fact, we miss thousands of updates daily when we are offline. Likewise, if you rely on such social media platforms to advance your marketing campaign, most of your prospective customers are going to miss your posts, promotions, and updates when they are offline. With email marketing on the other hand, you get to anyone who has subscribed to your mail at any time. Even if they are asleep or offline, they will still find your mail when they go online. This is of course unless they unsubscribe or change their email addresses. Once someone subscribes to receive your emails, you have already on your way to converting them. This is because they have indirectly given you permission to convince them to buy your products or services or simply to be loyal to your brand. You can then use whatever information they give you to customize your emails to engage them on a personal level. If you continue to engage the prospective customers on your email list in ways that appeal to them, you will be able to convert them. You also stand a better chance of retaining your existing customers by triggering repeat buying and even brand loyalty. Don’t ever be tempted to use free email platforms like yahoo or Gmail. Sending mass blast messages to people using such platforms is considered spamming and will most likely get your website shut down. Ensure that the Email Service Provider you choose for your local business email marketing campaign is designed specifically for email marketing. Such ESPs come with features that include; lay out templates, forms, email management, and performance analytics. This will help you manage your email list and to measure how successful your marketing campaign is. The best way to do this is to create high quality content that is interesting to your website visitors. Ensuring that your email sign-up on your website is impossible to miss and easy to access is also very important. One way you can do this is by using a light-up box that reminds site visitors to sign in whenever they want to leave the page. Managing to have them subscribe to receive your emails is the first step to conversion. Once you have chosen your Autoresponder and created your email subscription list, you can now begin engaging them. Using the information provided by the people who have subscribed to your email list, you can now useful content, promotions, tips, and messages directed at individual subscribers on your email list. Engaging them in a fun, personal and smart way will be your start in converting non-buying customers or occasional buyers into buying customers. 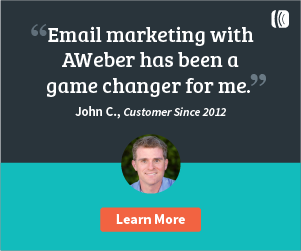 Are you new to email marketing? Grab our FREE video course on Email Marketing.